The FCS fin key is a must have for any surf adventure whether it's down the road or around the world. 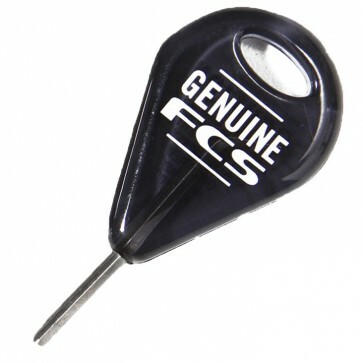 This fin key features the FCS logo, a built in key loop hole and a metal key piece. This handy little thing will work on most any fin type (including FCS and Futures Fins).